There are many secrets of youth and the maintenance of the ideal body. However, most of them require really iron willpower, endurance, constant control and a considerable amount of time. 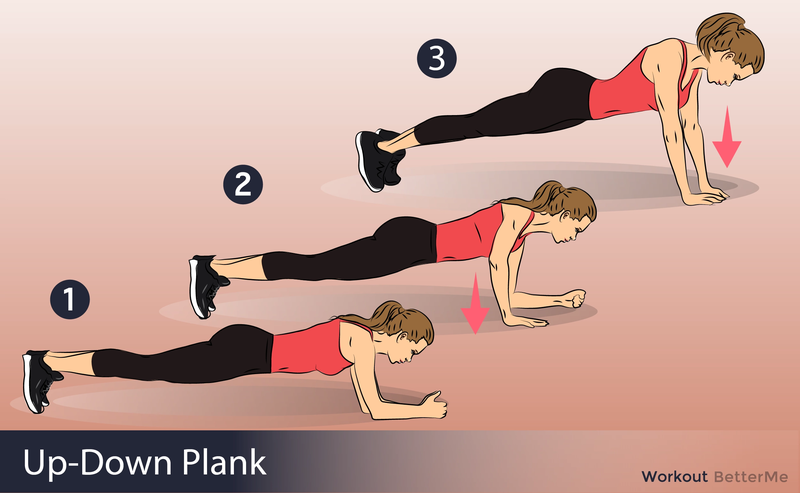 Plank - this is a great way to strengthen not only the abs, but the whole muscular corset, to increase strength and endurance of muscles, to make the silhouette tightened and to improve your health. Plank has dozens of variations, varying in complexity, however, they are all performed on the basis of basic techniques. 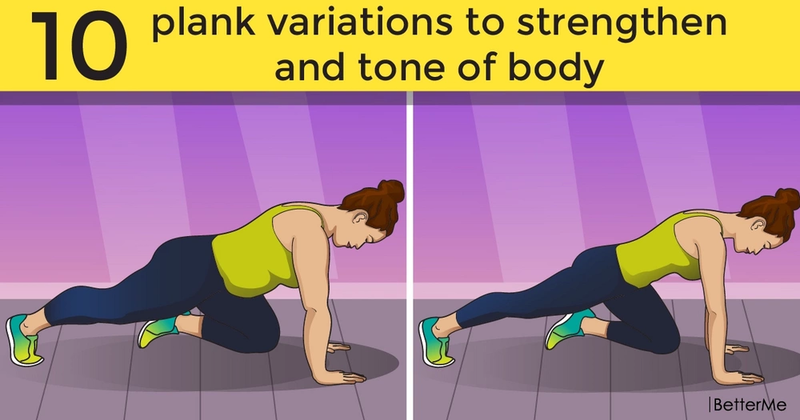 We offer you to try these 10 plank variations. They will not allow you to be bored, and, as for one exercise you can work out several groups of muscles at once, then the training efficiency will be really high. Jack plank (high). Stand on your palms and feet. Side plank. Take a side position standing on your elbow. Forearm plank. Stand on your forearm and feet. Inverse plank leg raise. Stank on your palms and your heels with your face up. Up and down plank. Take a standard plank position and walk on your hands. 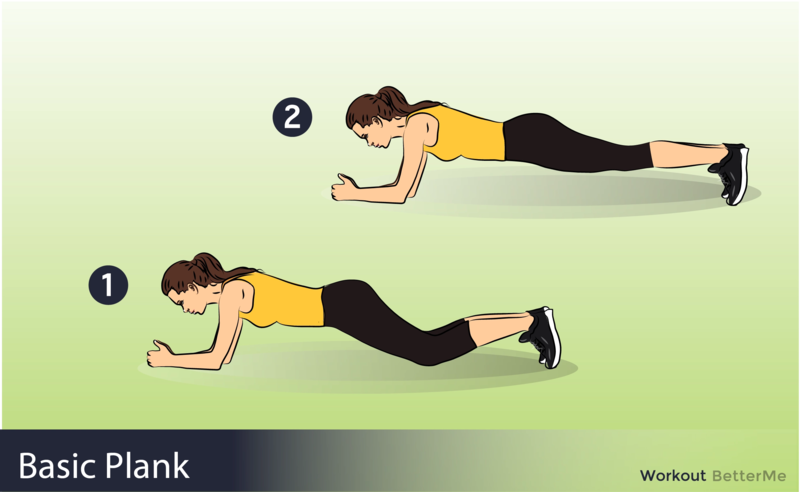 Push up to side plank. 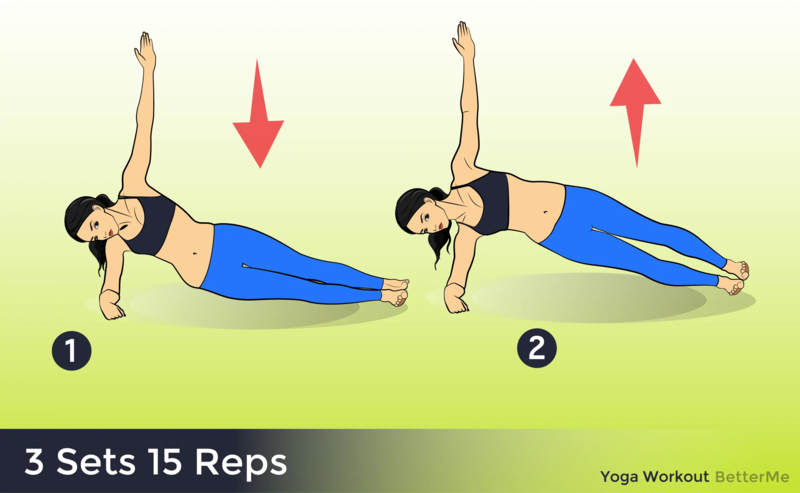 perform pushups and then take a standard plank position. Side plank high. 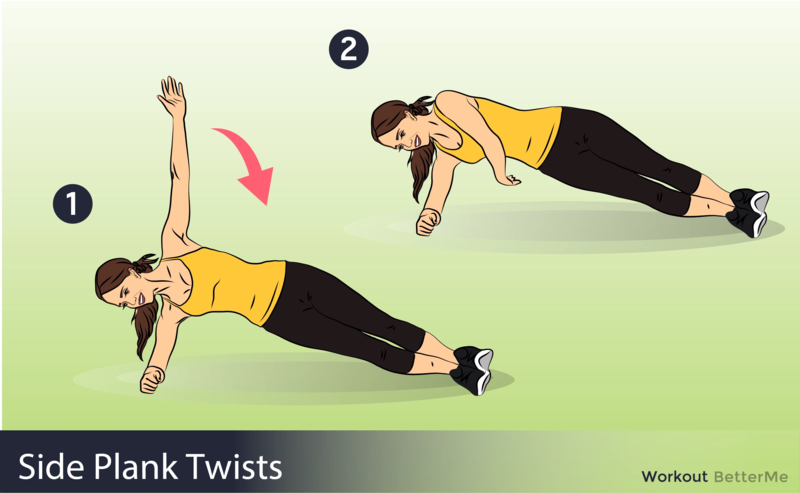 Take a side plank position standing on your palm. Side Plank Twist. Take a forearm side plank position. Bird dog plank. Stand on your palms and knees. Then straighten one of the arms forward and one of the legs backward.